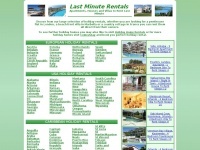 Holiday Lettings is specified as the websites creator. In total 97 links were found which refer to Holidaylettings.co.uk. The most used keywords in text links are Holiday Lettings, Holiday Apartments in and Holiday Cottages in. Individual words like Holiday, Lettings, Click and Rentals are frequently used in text links from other websites. The most important link sources for this website are Tripadvisor.co.uk and Selfcateringinherefordshire.co.uk. 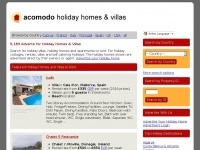 The homepage of Holidaylettings.co.uk and the subsite /search_easy.asp are most referenced by other websites. The table shows the most important links to Holidaylettings.co.uk. The table is sorted in descending order by importance. The table shows websites of Holidaylettings.co.uk, which are often linked by other websites and therefore they are classified as important content. 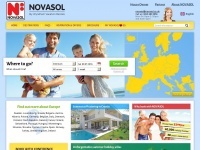 Novasol.co.uk - Vil­las in Spain, vil­las in Fran­ce, vil­las in Italy, ..
Marmenorholidayrentals.co.uk - Mar Me­nor Holi­day Ren­tals - Cheap Vil­la & Apartment ..
Holiday-home-rentals.co.uk - Holi­day Home Ren­tals - Vil­las, Cot­ta­ges, Apartments ..
Acomodo.co.uk - Cyprus, Fran­ce, Italy, Por­tu­gal, Spain, UK & USA - ..